A peculiar camera. A mass shooting. A cloud that isn’t quite a cloud. A rain of nails. Four novellas, connected only by a tenuous and common thread of horror, are spun together in Joe Hill’s latest work, Strange Weather. 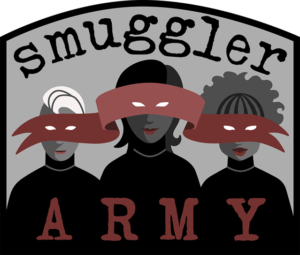 I’ve been a fan of Joe Hill’s since his debut–Heart-Shaped Box was the second novel I ever reviewed on The Book Smugglers (! ), way back when in 2008. One of his more recent novels, NOS4A2, was one of my top 10 favorite novels of 2013. 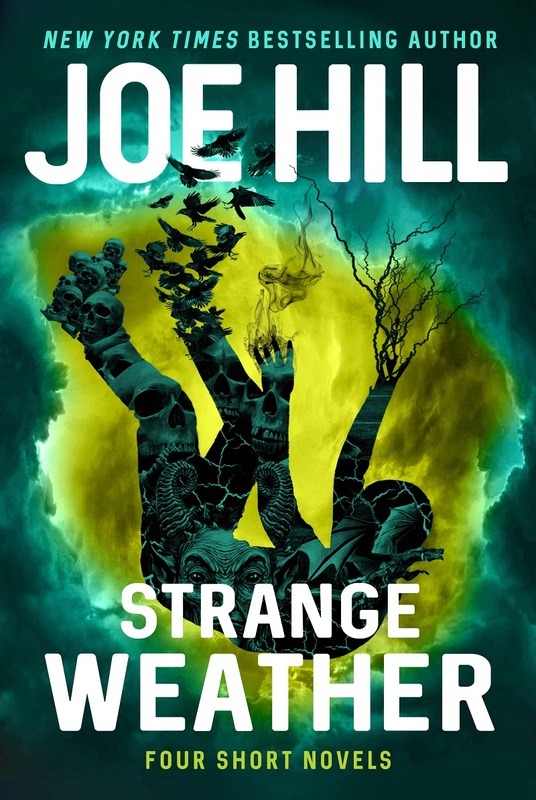 Suffice it to say, when a new Joe Hill novel comes out, I get excited–so it was with great anticipation that I started reading Strange Weather. Even more exciting was the fact that this book is an anthology, collecting four short novels (ok, really they are novellas) in the vein of Hill’s father–some of my favorite works by Stephen King are his collected anthologies, with Four Past Midnight being the clear favorite. Ultimately? Strange Weather is a mixed bag–while there’s no denying Hill’s ability to write in different voices or his skill in building delightfully unsettling atmospheric tension, the four stores themselves are a split. “Snapshot” is the lead-off hitter for the anthology, told in the voice of an older man, reminiscing about a summer in the 1980s. This narrator, a precocious middle schooler at the time of the story, remembers when his next door neighbor’s dementia hit its peak–except there were more nefarious forces at play. A man with a peculiar type of polaroid knockoff camera shows up in Cupertino–a camera that has abilities to steal memories. It is up to this single eleven-year-old to figure out how to stop the man and save his neighbor–changing his entire future in the process. “Snapshot”, to me, felt like the most Hill/King-esque of the collection; this is a story about a dark man riding into town with a supernatural machine and a dark purpose, combated by the belief and naivete of childhood on the cusp of adolescence. While the setup and the trope is familiar, I appreciated the way Hill takes the story and its ultimate ending. After all, what would you do with access to a camera with the power to extract memory? “Loaded” is a different type of story altogether. This one resonates more recently and powerfully, as it’s a story about a mass shooting born out of a “misunderstanding”–a mall cop is called onto the scene when a jilted lover blows away her married ex-boyfriend… but instead of killing the shooter, the mall cop instinctively fires at the woman in hijab with a baby strapped to her chest. Thanks to the chaos at the scene, the mall cop is lauded as a hero who stopped an act of terror. But then, a reporter starts chipping away at the story and learns that something far more sinister lies beneath the surface. “Loaded” was a hard story to read, given the current political environment and recent events, what with mass shootings, lax gun control laws, and the fact that bigotry masquerading as patriotic zeal is an ever-present reality. Hill critically examines these threads and takes them to a dark, preternatural extreme in this story, following the mall cop’s quickly unraveling reality. While I appreciated the sentiment of this story–and its horror–the lack of any real sympathetic character (until Aisha enters the picture, deep in the story), the lack of empathy (which is kind of the point of the story, granted) made it hard for me to connect with the novella. “Aloft” follows a young man, Aubrey, who has gone to an extreme for love. Or, you know, what he thinks is love. Following the untimely death of their friend and band mate, June, Aubrey agrees to go skydiving with Harriet–he would do anything for her, even if he’s terrified of heights. When the time comes to jump, though, Aubrey lands on a peculiar cloud–one that is more like a UFO than a collection of wispy water vapor. 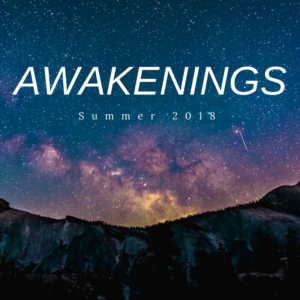 Stranded thousands of feet above the ground on a flying, sentient cloud, Aubrey must figure out what the purpose of the ship is, and if he can ever get home again. This was a surreal and Twilight Zone-esque stop in Strange Weather–less so about the situational horror, and more about a young man’s desires, memory, and the slow realization that love and desire are not the same thing. I liked this one for its premise, but it was hard to feel for Aubrey initially–as obsessive and weirdly passively entitled as a twenty-something college student. Still, as the story progresses, Hill pulls off the single-unrelatable narrator act–and manages to create some of that empathy missing from the prior short. “Rain” is the last story in this collection–and easily, my personal favorite. Honeysuckle Speck–great name for a hero, right?–is babysitting one of her regulars when the apocalypse happens. A hard rain falls on Colorado, made of needle-like shards that impale and kill those unfortunate souls caught in its path. Honeysuckle makes her way from Boulder to Denver on a treacherous road trip to give her slain girlfriend’s father the news of her death, encountering fanatic cultists and more nail-like rain along the way. I love me a solid apocalyptic SFF story, and this was what I was hoping to get out of Strange Weather. Honeysuckle is a more traditional hero in the post-apoc-dystopia SFF space, but damn I loved her resourcefulness and passion, especially as the stakes get higher on her trip to Denver. Hill does a phenomenal job of taking an intriguing premise, blending it with solid characterization, and hitting SFF-horror trope highs in this story. Ultimately, Strange Weather is worth the trip. Rating: 6 – Good overall.